Clarke’s dreams are coming true—and that’s the problem. Legal secretary by day, romance novelist by night, Amy Clarke lives with a precious secret. For years, she has traveled to a holy place in her dreams—a sublime place she calls the Living Room. When she awakes, her faith and energy are supernaturally restored. And when she dreams, she receives vibrant inspiration for her novels. As she begins to write her third book, the nature of her dreams shifts. Gone are the literary signposts. Instead, her dreams are studded with scenes that foreshadow real life. Before long, the scenes begin to spill over into her waking hours too. As Amy becomes entangled in a high stakes case at work, her visions take on a dark hue—implicating someone dear to her, causing her to question everything. And convincing her to trust someone with his own shadowy secrets. Things are not always what they seem. But as fiction, dreams, and real life begin to overlap, Amy must stop dreaming and act to prevent tragedy. I always look forward to reading a novel by Robert Whitlow because his novels always read as though he’s been with Jesus. And this novel is no different. Mr. Whitlow has explored the importance of dreams before, but this one gives it a slightly different view. I thought that using dreams to solve minor mysteries or to keep havoc at bay was wonderful. The novel started off a bit slow, but once I saw where it was going, I didn’t want to put it down. I thought Amy read as a real person as she had doubts, fears, and yet an unequivocal trust in God. I found the mystery in this novel to be both predictable and unpredictable. Clearly something was wrong with a certain someone, I just didn’t see how it all came together. I will say that I had hoped the ending would be a bit different in regards to Amy and the law firm. That said, this novel captured the challenges that a person faces when walking in the supernatural. This novel isn’t romantic because Amy is already married, and has a happy marriage. But it does a nice job of showing how marriage should work. Great read! Recently, I was reading a novel and all I could think about was how much I preferred younger heroines to older ones. Now, everyone has in their mind and idea of what age is too old. I like to think the number I have in my head is reasonable. But, I do understand that this is a relative idea. But, why do I prefer younger heroines? 1. They are easier to picture in my mind. I realize this is kind of weird, but when I picture older heroines, I usually add a few pounds, wrinkles, and gray hairs even if the author tells me otherwise. I can’t help it, I start picturing grandma. People rarely look like Halle Berry once they’re past the age of 45. I don’t care what the author says. 2. I’m not counting eggs. Yes, I said it. If they are old, I’m immediately thinking, you do not have time to waste if you plan on having children. 3. I’m young. There is a certain bias there. 1. What was your inspiration for the Grand Tour Series? I was a travel blogger for a time and heard about it from other writers. In the 16th-19th century, it was a big thing for the well-to-do to send their young adult children on a tour of Europe to gain first-hand knowledge of the arts, history, politics, and famous sites and locales, as well as “important” people who might help them in the future. In a far less genteel way today, many young Americans do the same thing when they backpack thru Europe. I liked the romance of the OLD way, but wanted to throw an “everyday” kinda girl into the mix of all that wealth and drama. Enter my heroine, Cora. 2. Did you have to take the same or similar tour that Cora goes on in the series? We’ve been to Italy five times, mostly for research for other series. And I took my girls to England and France as part of the research. But as much as I wanted to take the kids out of school and travel for a whole year (grand tours were often for 2-3 years), we just couldn’t make that happen financially. So those spot trips have been a huge blessing! 3. When writing a three part series, which novel is the hardest to write and why? The middle book is always the hardest. You have to keep people engaged and yet still have a sense of completion/arrival. 4. The Grand Tour Series has a lot of people participating in it, which character is the easiest for you to write? Which one is the most challenging? There are a lot of characters! I tried to separate them in GLITTERING PROMISES, but my editor made me bring them back. Cora is the easiest, because I’m in her head the most. Mr. Kensington is the hardest, because I’m grappling with his history and conflicting motivations, just as Cora is. He’s a complex man! 5. 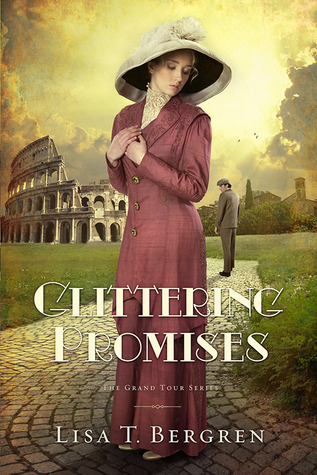 Can you tell us anything about Glittering Promises? 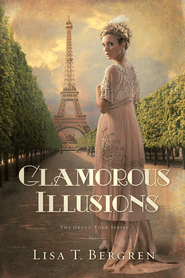 Be sure and check out her Grand Tour Series! And soon to be released…..
Grace Connor, a military nurse formerly stationed in Afghanistan, hopes that moving to a farm in rural Ohio will help her recover from the ravages of war. Levi Troyer finds his pacifist beliefs challenged when he discovers his stepfather has been killed and his mother wounded by an unknown intruder. Levi and Grace are thrown together when she comes to his family’s rescue and saves his mother’s life. A deep attraction develops—even though a relationship between them is strictly forbidden. Levi belongs to the most conservative and isolated of all Amish sects—the Swartzentruber Amish. Even before meeting Grace, Levi had begun to question some of their teachings. He has considered leaving, but knows he will be banned forever from contact with his younger siblings and widowed mother—who need him to survive. He is torn between his love for Grace and his responsibility to his family. Grace considers leaving her beloved farm and reenlisting rather than continuing to live near the man she loves but cannot have. Levi must confront the Bann if he pursues Grace. And a murderer must be caught. When lifelong allegiances are tested, can love and justice prevail? I’ve mentioned it before, but I’m not a huge Amish fan. That said, I’m a huge Serena Miller fan so I knew I had to read this book. And Ms. Miller did a fabulous job. She always manages to take a topic you’ve read hundreds of times before and give it a fresh new look. First, you have Grace who is a nurse in the military. I found her character to be so fascinating. She managed to be both feminine and strong throughout the whole novel. Her faith in God was grounded and she became a very trustworthy character. My heart, however, went out to Levi. His family goes through so much and then they have their Amish sect to deal with. Ms. Miller did a fabulous job of showing how much Levi loved the Amish and yet could not fully accept their ways. The end was great when you could see Levi coming into the realization that it is faith and not works that gets you into heaven. One of the best things I loved about this novel was that there was no “communication” issues when there was plenty of room for them. I found the romance to be subtle, and quiet, and below the surface. I found myself slowing down every time Grace and Levi were together. While there were moments where the romance bloomed (great first kiss! ), it probably wasn’t as romantic as I would like. And yet, Levi explains why that is at the end of the novel. Very good read. Highly recommended especially if you like Amish novels. Karen and Val are family–yet they’re anything but close. Karen has carried the burden of responsibility for her aging mother ever since her gorgeous sister left town years ago to pursue a career in theater. But Val had darker reasons for leaving town–as well as a secret to keep–and coming home has never been an option . . . until their mother suffers a stroke. This novel is different from Irene Hannon’s usual fare, but still just as good. In this novel, you have two separate stories, Karen and Val. They each have a bit of a burden that is weighing them down, but watching them get free from those burdens was a joy to read. Val, is the beautiful sister who has a secret that’s been hunting her for years. I liked Val. She was kind and generous and though she had a secret, straightforward. I especially liked her interactions with David. This is one romance that was both slow and exciting. And I liked the end of her tale, when she realized that God loved her unconditionally and that He died for all of our sins. Her story was beautiful. I also liked Karen. Her changes were more overt than Val’s but no less important. However, I would say that her romance with Scott felt a bit forced to me. Though she changed over the course of the novel, she always read to me as older and more dignified than a youthful Scott. And this could have worked if they had addressed those issues. That said, I never found Karen’s story boring. Also, I liked watching the sisters get to know each other again. There was no drama or back-stabbing, but just honest to goodness relationship. I found this to be beautifully done. This novel is different than Irene Hannon’s mysteries, but I think it is equally as enjoyable and page-turning. Lately I’ve been thinking about adding to my reviews a scale that indicates how much romance their is in a novel and if it is a good romance. I will rate the romance on a scale of 1 to 10 and perhaps of a sub-category rating the hero. It’s a bit odd, but quite honestly, I love romance novels. Thoughts? Have any ideas for other items that you think should be rated in novels? Depending on the interactions of the hero and the heroine will lead to 2-4, or 6-9. So, let’s see how this works out! Some years ago I stumbled across Liz Curtis Higgs in the library. Gifted doesn’t quite truly describe her. 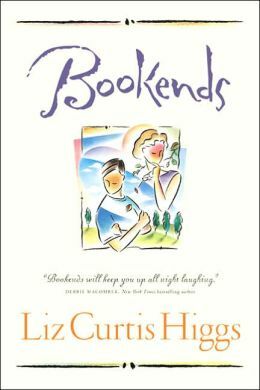 I decided to list some of my favorite novels by Liz Curtis Higgs. 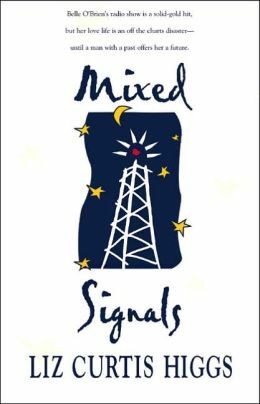 This was the first novel I read by Ms. Higgs. This novel is hilarious! I just adored the hero in this book and she did a beautiful job of showing how two very different people can fall in love. This is probably my favorite novel by Ms. Higgs. I’ve read it so many times the pages are torn. I just felt like the heroine was so relatable. And the hero? Swoon. Do you know one of those people who talks to TV shows? I am not one of those people, but these books had me talking. Though, they are not my favorite by Ms. Higgs, they are definitely the most gripping novels I’ve ever read. I felt so invested in the characters. To be honest, they’re probably not my favorite because they made me want to shed too many tears. There’s a happy ending! I promise. But the journey…. Now this was a fantastic replication of the story of Ruth. They’re not short and sweet, but oftentimes dark and gritty, but that joy at the end! Oh man! So worth it! Ms. Higgs did a fabulous job capturing all the different emotions and events that most likely impacted Ruth. 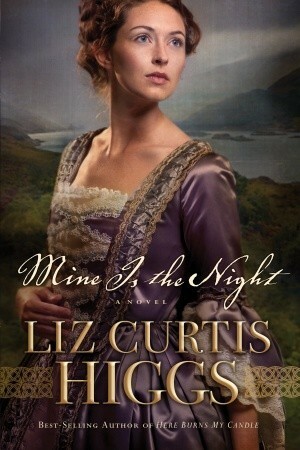 So here are my favorites by Liz Curtis Higgs. Do you have a favorite?